Mid-May in Maryland. Last updated: 5/16/2010. 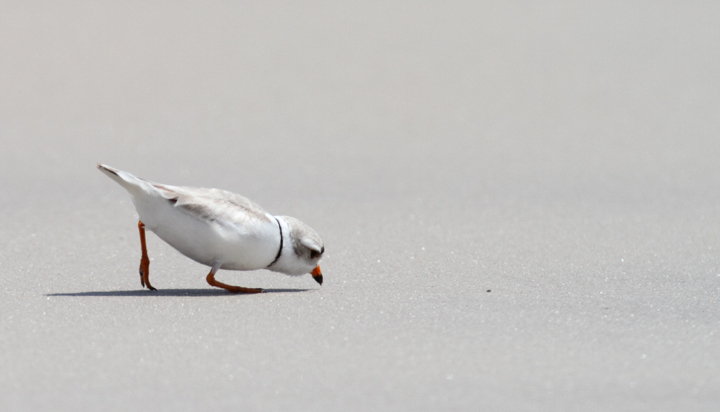 Below: A Piping Plover feeds in the surf on Assateague Island, Maryland (5/14/2010). 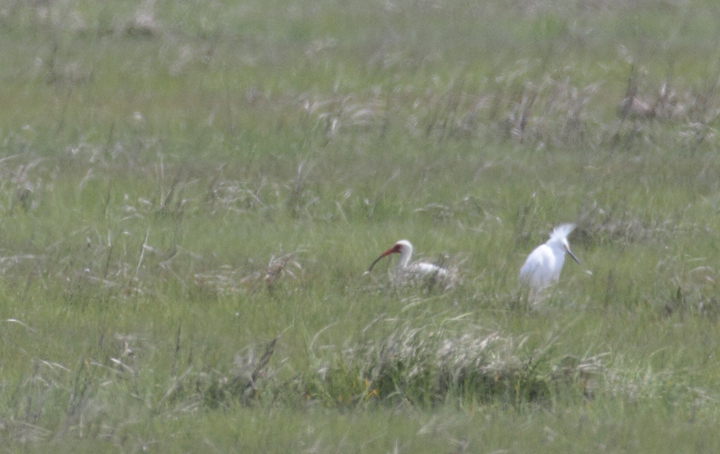 Below: An adult White Ibis near Bayside Development Pond in Worcester Co., Maryland (5/15/2010). 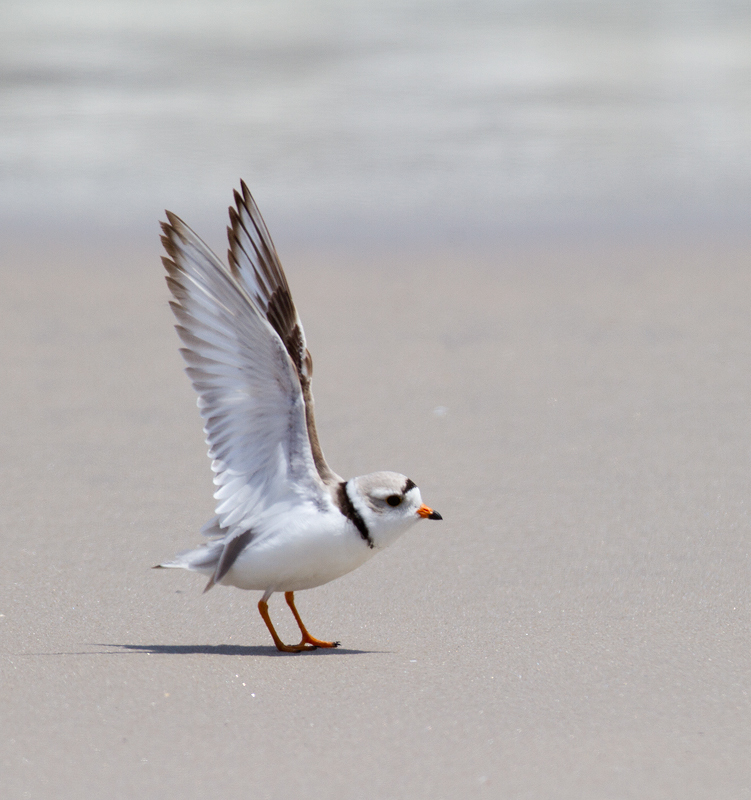 Despite the proximity of Virginia's breeding population, this species remains quite rare in the county. 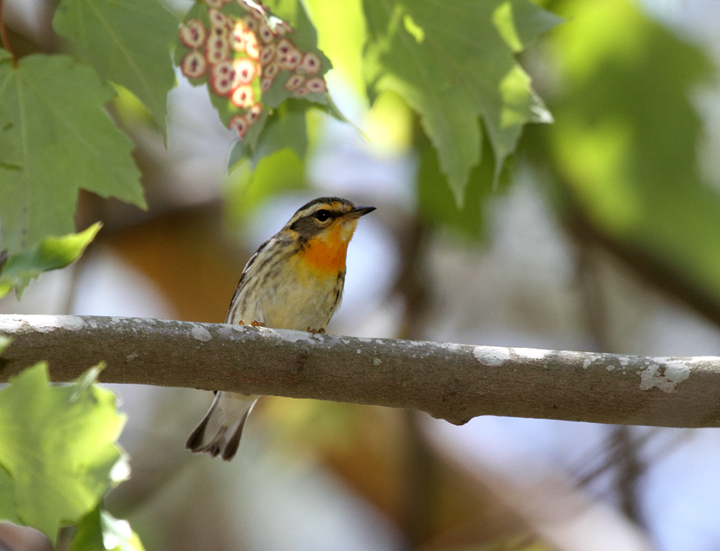 This was my first spring sighting and my first sighting of an adult in Maryland. 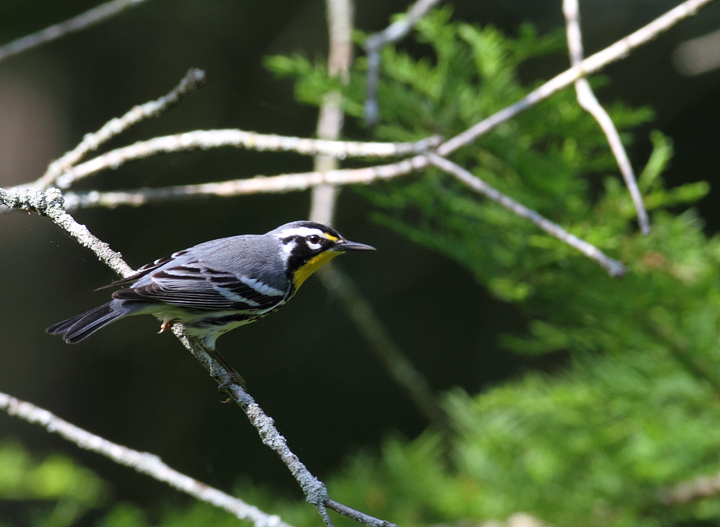 Below: A Yellow-throated Warbler in a bald cypress swamp in Wicomico Co., Maryland (5/14/2010). 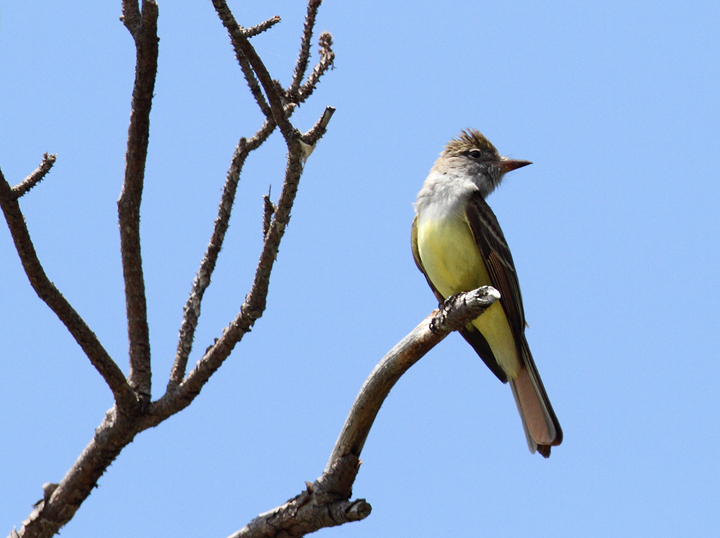 Below: A Great Crested Flycatcher in Dorchester Co., Maryland (5/8/2010). 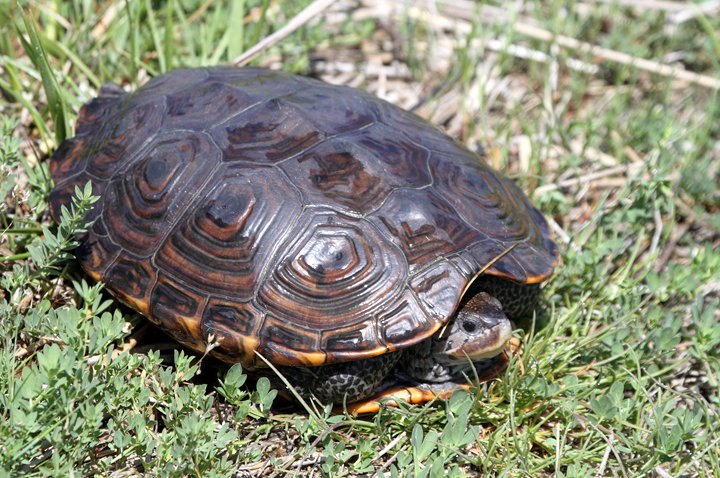 Below: A Diamondback Terrapin in southern Dorchester Co., Maryland (5/8/2010). 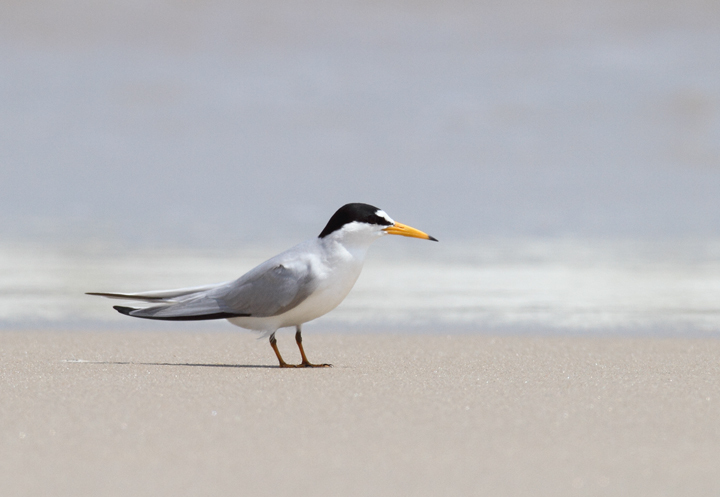 Below: A Least Tern rests on the beach on Assateague Island, Maryland (5/14/2010). 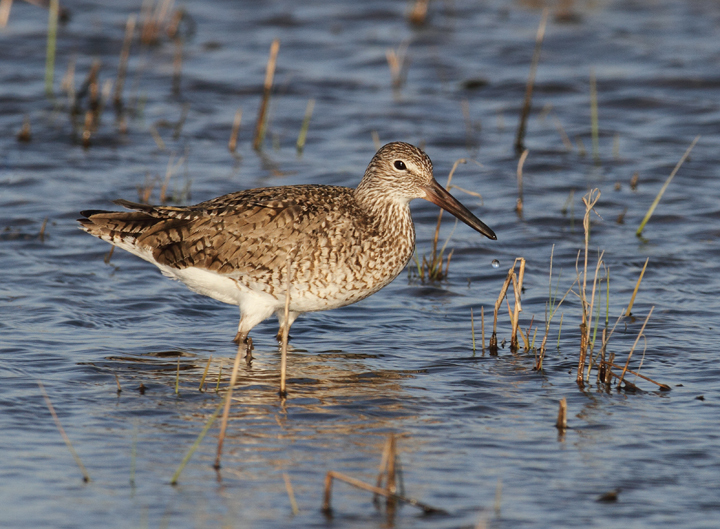 Below: An Eastern Willet at sunset in Dorchester Co., Maryland (5/8/2010). 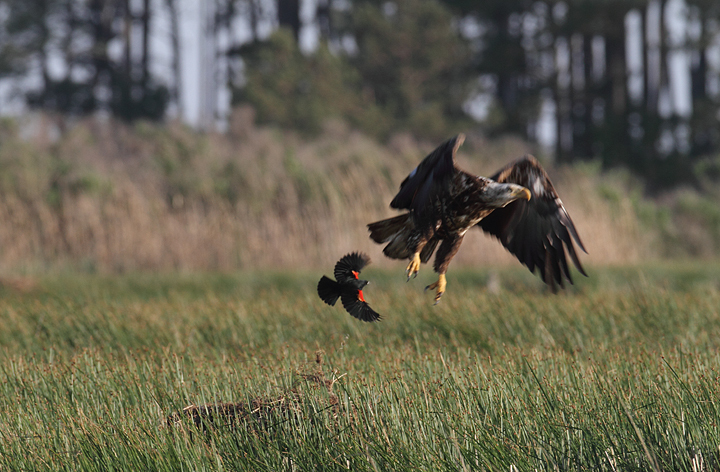 Below: A Bald Eagle gets punked by a territorial Red-winged Blackbird (Dorchester Co., 5/8/2010). 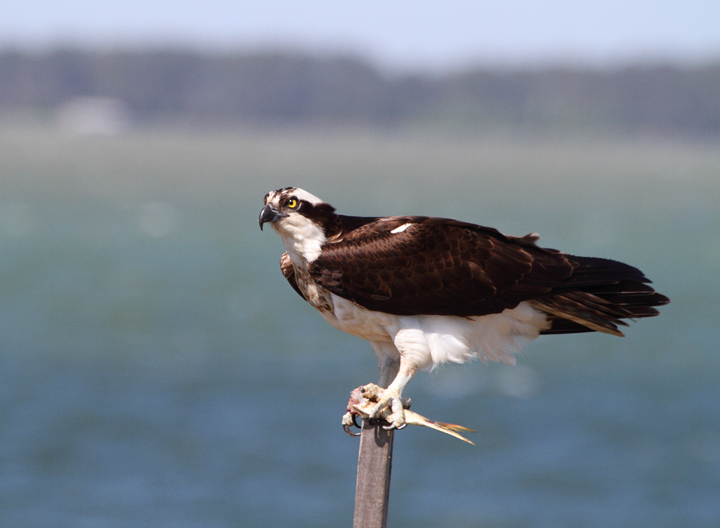 Below: An Osprey feeding off Middle Hoooper Island, Maryland (5/8/2010). 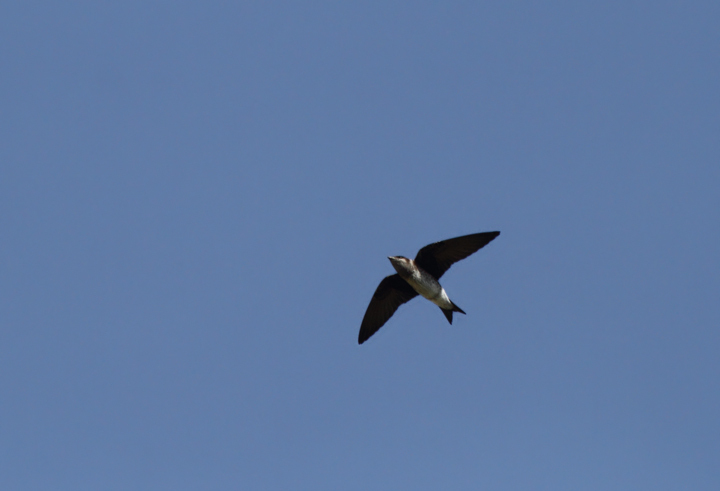 Below: A female Purple Martin at Blackwater NWR, Maryland (5/8/2010). 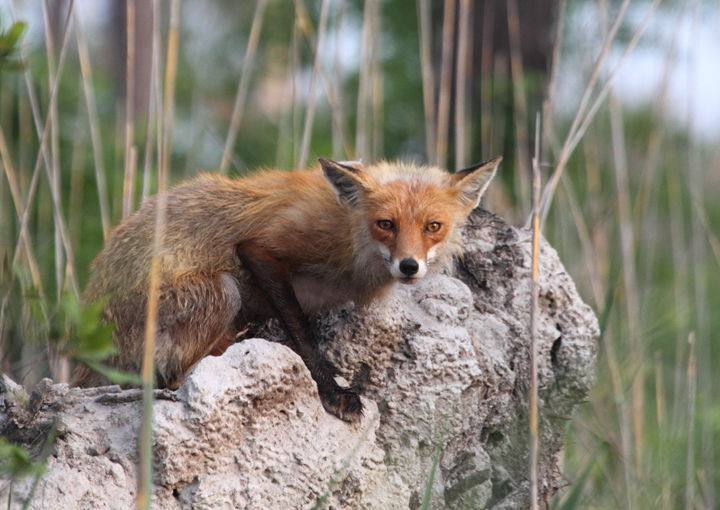 Below: A Red Fox eyes us suspiciously from a dirt mound (Dorchester Co., 5/8/2010). 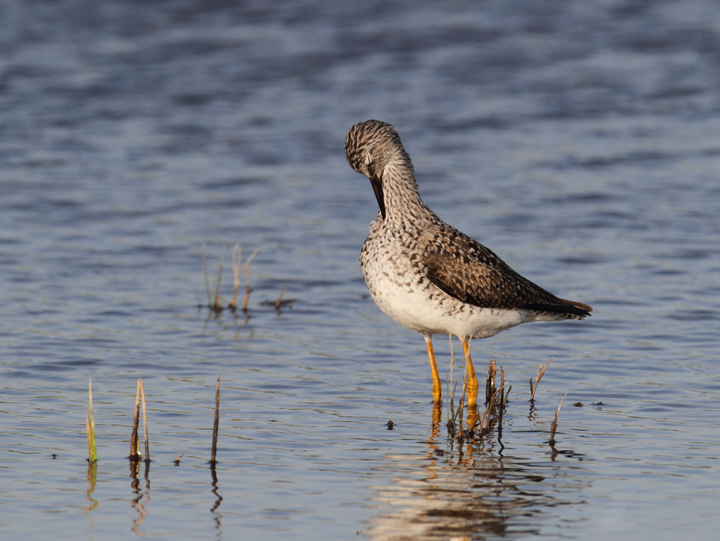 Below: A Lesser Yellowlegs in Dorchester Co., Maryland (5/8/2010). 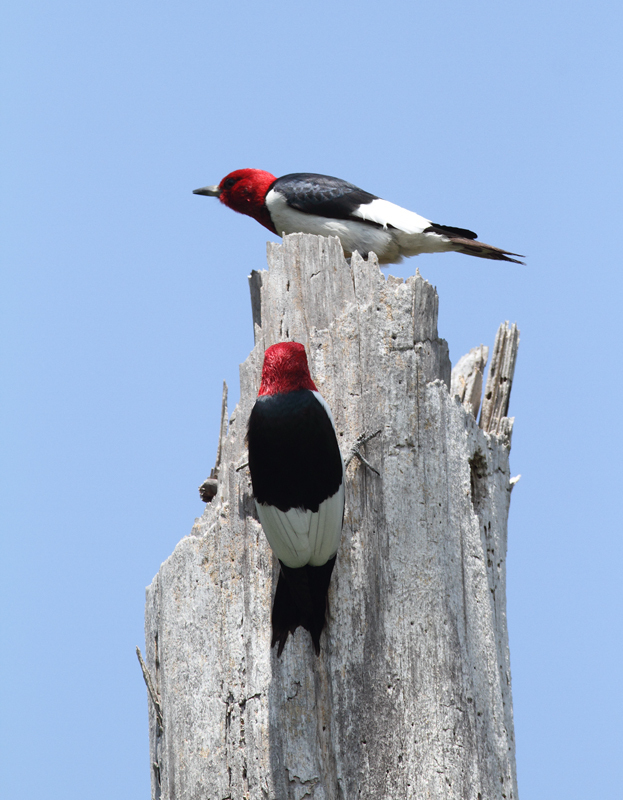 Below: Two of the ten Red-headed Woodpeckers found in our area during the Dorchester May Count (5/8/2010). 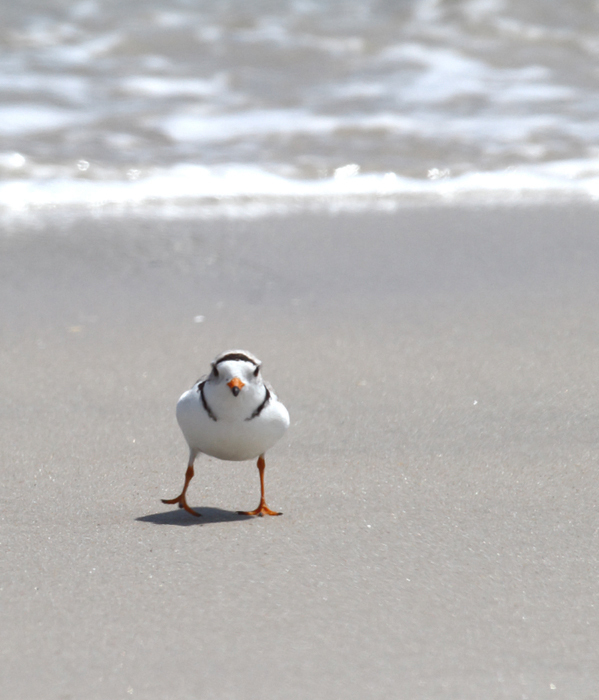 Below: A male Bay-breasted Warbler in the major warbler fallout on Assateague Island on 5/15/2010. 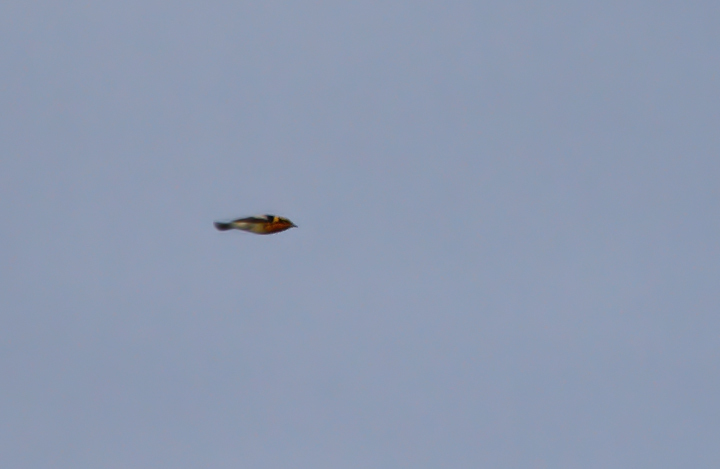 Below: A male Blackburnian Warbler in the morning flight on Assateague (5/15/2010). 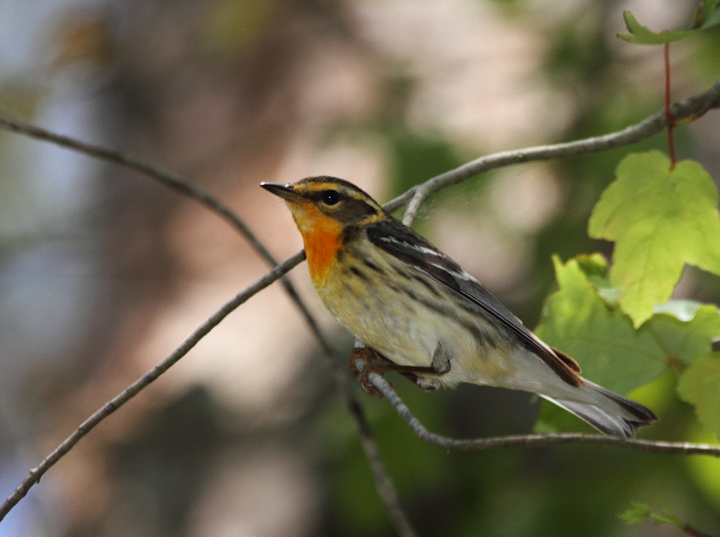 Below: A Blackpoll Warbler in the morning flight on Assateague (5/15/2010). 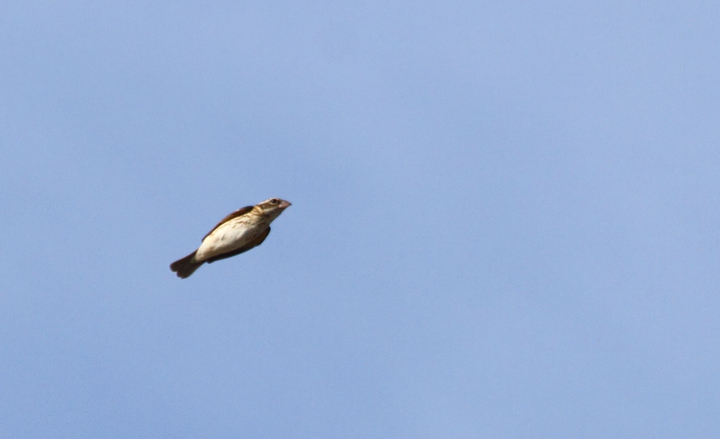 Below: A Rose-breasted Grosbeak in the morning flight at Bayside, Assateague Island (5/15/2010). 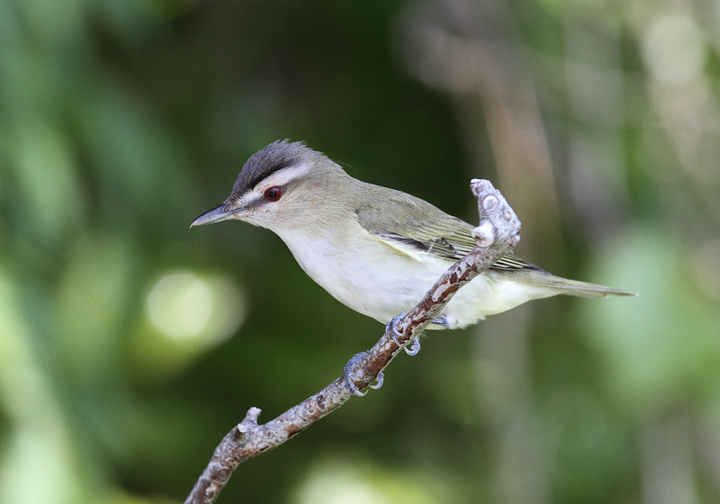 Below: A Red-eyed Vireo on Assateague Island, Maryland (5/14/2010). 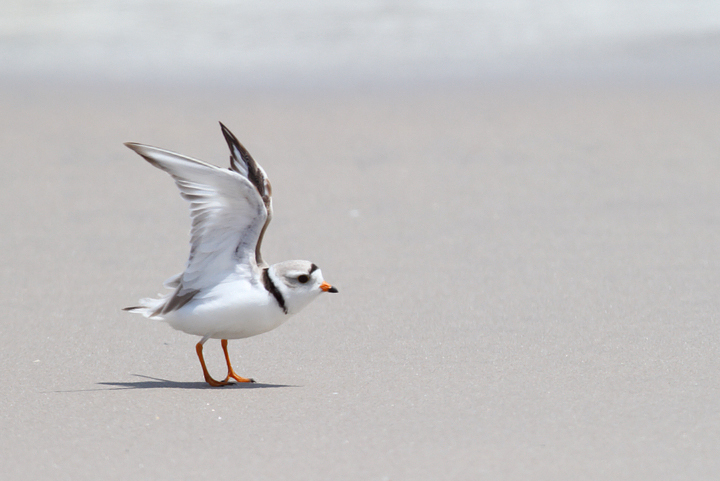 If you look closely at the bird's nape, you can see a filoplume, one of the ultra-fine, hairlike feathers that presumably send birds messages regarding feather positioning. 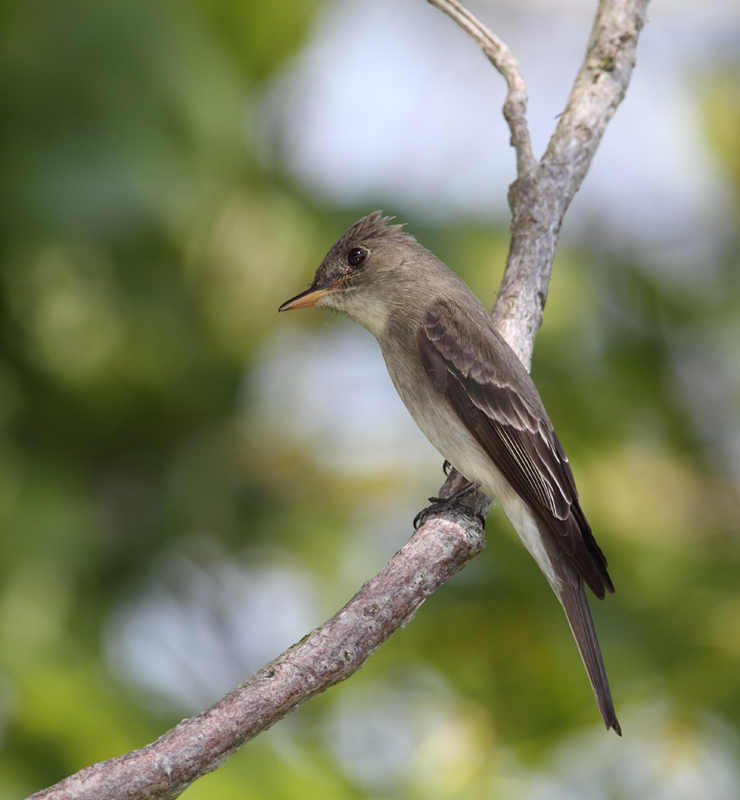 Below: An Eastern Wood-Pewee on Assateague Island, Maryland (5/14/2010). 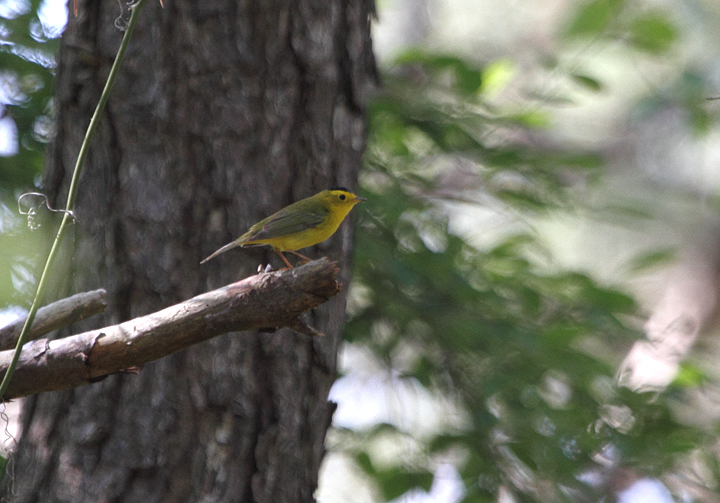 Below: A Wilson's Warbler singing along the Life of the Forest Trail on Assateague Island (5/15/2010). 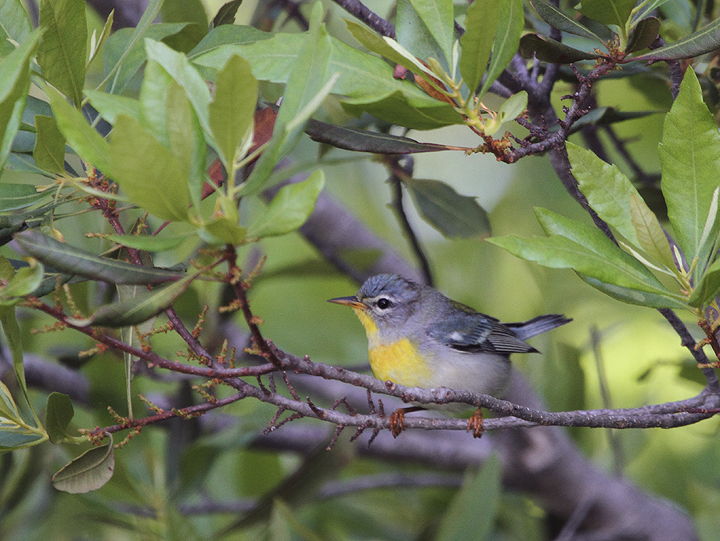 Below: A Northern Parula on Assateague Island, Maryland (5/15/2010). 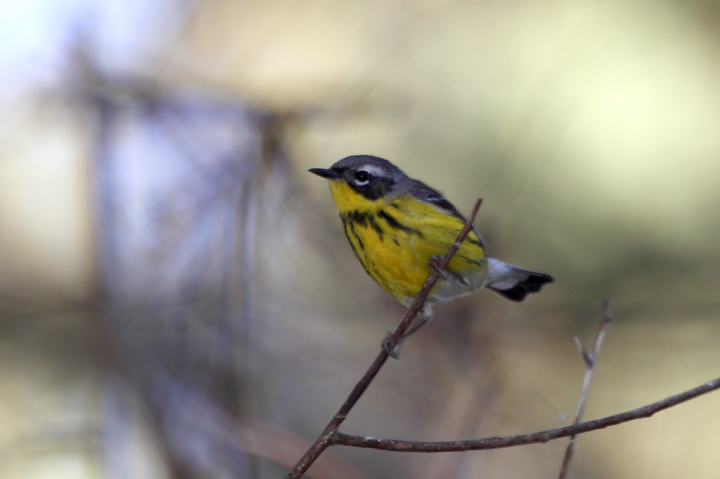 Below: A Magnolia Warbler on Assateague Island, Maryland (5/14/2010). 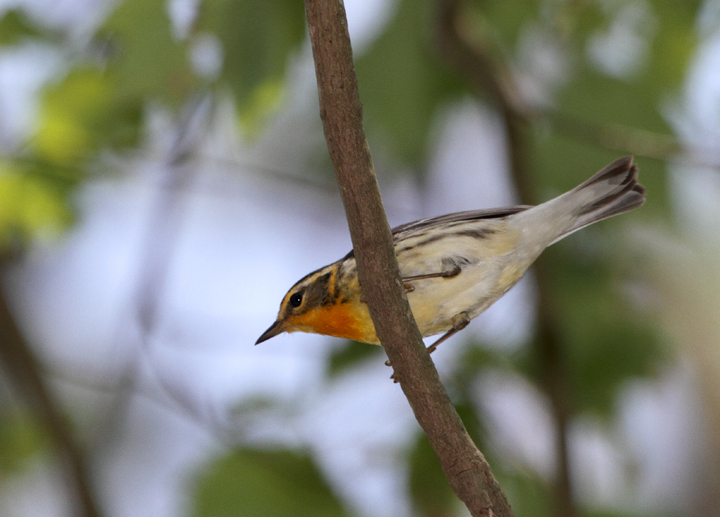 Below: A Blackburnian Warbler on Assateague Island, Maryland (5/14/2010). 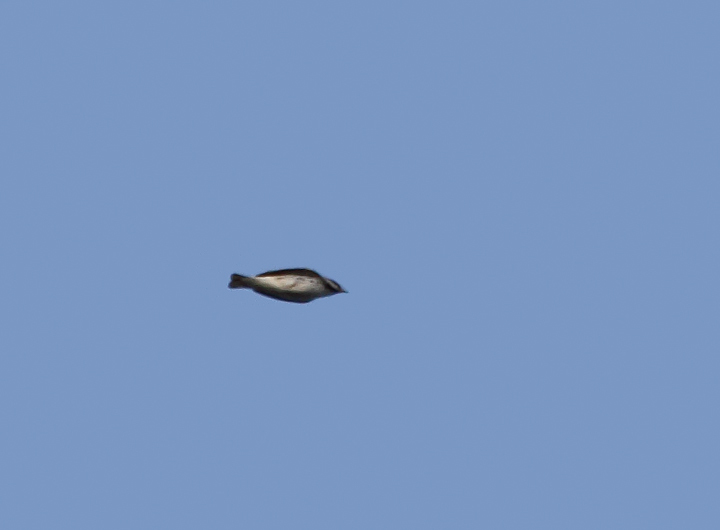 This was my long-awaited 300th species in Worcester Co., Maryland. 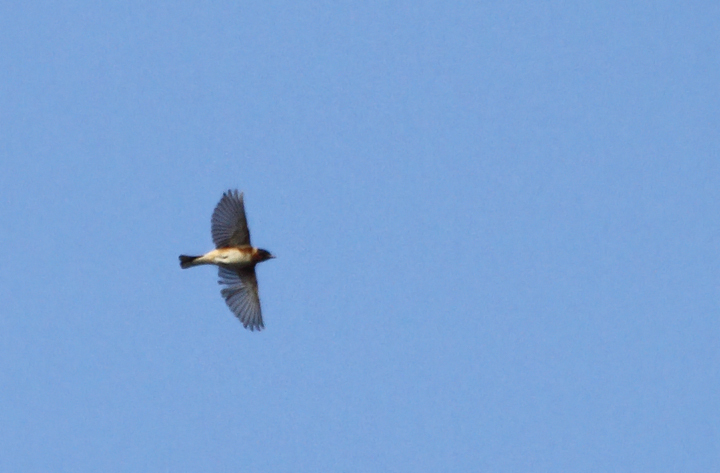 I would not have guessed that I would have seen 23 in two days in the county.